A Crisis Foretold: Studies Warned New York Infrastructure Critically Threatened by Climate Change | Democracy Now! senior research scientist at NASA Goddard Institute for Space Studies, where she heads the Climate Impacts Group. Her work with the Intergovernmental Panel on Climate Change Task Force on Data was recognized in 2007 with the Nobel Peace Prize awarded jointly to Al Gore and to the IPCC Task Force. AMY GOODMAN: This is Democracy Now!, democracynoworg, The War and Peace Report. I’m Amy Goodman. We’re usually in New York, but our studios are blacked out; they have no electricity. And so we are continuing our 100-city tour in St. Louis, Missouri. Well, as the floodwaters recede across the region, the death toll from Superstorm Sandy has reached 74 across eight states. About six million people remain without power, including much of New Jersey, Lower Manhattan and Long Island. On Wednesday, New York City’s flagship public hospital, Bellevue Hospital Center, was forced to evacuate hundreds of patients after its backup power generators failed. Earlier this morning, part of the New York subway system began running, but major parts remain closed down, including all crossing between Brooklyn and Manhattan. On Wednesday, the Democracy Now! team visited the Brooklyn neighborhood of Red Hook, one of the city’s hardest-hit areas. The neighborhood is home to the largest public housing project in Brooklyn. And in a moment we’ll be playing that piece. But first, the massive damage that Superstorm Sandy has caused to New York City and its infrastructure has not come as a surprise to everyone. Just last year, a team of researchers issued a major report on how climate change could lead to stronger storms and what that means for the city. Our next guest, Cynthia Rosenzweig, is the co-chair of the New York City Panel on Climate Change. She was the lead author of a report on the impact climate change will have in New York state’s “critical structure,” like bridges and sewage systems, as well as public health and agriculture. The changes are projected to affect nearly every region and facet of the economy in coming decades, from ski resorts and dairy farms to New York City’s subway, streets and businesses. Cynthia Rosenzweig is a senior research scientist at NASA Goddard Institute for Space Studies, where she heads the Climate Impacts Group. Her work with the IPCC Task Force on Data was recognized in 2007 with the Nobel Peace Prize awarded jointly to Al Gore and to the IPCC Task Force. Cynthia Rosenzweig, we welcome you to Democracy Now! Talk about what we are experiencing today on the East Coast. You’ve come to us—your own home, which is a little more upstate in Tarrytown, New York, is still without electricity, like so many millions of New Yorkers and those in New Jersey and other places. And you—your report came out a year ago predicting what we’re seeing today. 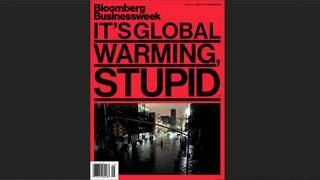 CYNTHIA ROSENZWEIG: Actually, our first report on climate change in New York City came out over 10 years ago. The—it is called “The Metro East Coast: Climate Change and a Global City.” And the vulnerabilities that we are seeing lived out in Hurricane Sandy were what we covered in our first report. But first, Amy, I need to make something very clear: any one storm cannot be associated directly with climate change; climate is long-term weather events and weather—and weather conditions. So we have to be very careful not to say Hurricane Sandy was caused by climate change. It’s related to climate change, though, in three ways. One, because we’ve had already in the New York region 10—nine to 10 inches of sea-level rise over the last 100 years, we’ve taken the first step of higher sea-level rise—of higher sea levels, so when Sandy came along, it goes further inland. Hard to quantify, but we are certainly one step up due to climate change in sea level. The other two areas of relation with climate change are the tremendous vulnerability that we brought out in our first report over 10 years ago, our report in New York state last year, and our report in New York City two years ago—the tremendous vulnerability, first, of our infrastructure. Everything that’s happening, you can go to our report and read about, highlighting the vulnerability that we, as a coastal region, have today. But it’s not just the infrastructure; it’s the people, as well. Neighborhoods in New York—it’s not just the Stock Exchange. It’s not just the wealthy. It’s also the Rockaways, Brighton Beach, neighborhoods where—as you said, Red Hook—many, many people live across the whole spectrum. Tremendous vulnerability, because—and people who are elderly, like right now, actually—I’ve been spending the storm with my 97-year-old mom. Elderly people have a hard time getting organized, finding the flashlights, finding the batteries, knowing when they need to evacuate and where to go and how. And then, finally, key, key—key, key part about—about climate change and Hurricane Sandy is that from Sandy, from the preparations before—and there were preparations—and now, with the recovery after, we have to learn to become more resilient, because climate change is already occurring, in terms of sea-level rise, in terms of warmer temperatures, and this is projected to continue and worsen in the future. AMY GOODMAN: Cynthia Rosenzweig, we are seeing wall-to-wall coverage of the superstorm in all of the networks, as actually we should, “severe weather,” “extreme weather” flashing, “superstorm.” But the other two words that are almost never mentioned are “climate change,” “global warming,” “global disruption.” Why are you certain that is what we are experiencing today? CYNTHIA ROSENZWEIG: I and other scientists have been working on the connection with rising greenhouse gases and the world’s climate system since—since the—for over two decades—or even 30 years. My first paper on this was published in 1985. There is a worldwide consensus of science that by putting greenhouse gases from burning of fossil fuels and changing land use into the atmosphere, we are forcing the climate system of the earth to change. And this is not just a projection. There are documented warming over the past 100 years, of warming of areas, of drying. Climate change is not just in the future; climate change is already happening. So even though we can’t associate any particular storm, as bad as Sandy is, saying Hurricane Sandy is climate change, but the entire climate system is showing the effects of the forcing that human beings are causing. AMY GOODMAN: What should policy be in this country? What should people do? You know, it’s interesting. Millions are powerless right now, right? They have no electricity. Democracy Now! 's studios are blacked out, like so many other places through New York and New Jersey. We're on the road, can’t come back into New York to broadcast, so our colleagues in New York are working around the clock finding workarounds to get us these reports that we’ll be bringing you today, on the scene, on the ground in different communities in New York. So, people are powerless, and many feel powerless. But, if we talk about climate change, people have the power to do something about it. What should they do? What should the policy in this country be, Cynthia Rosenzweig? CYNTHIA ROSENZWEIG: There are two responses to climate change. We have to work on the root causes, which is to reduce greenhouse gas emissions from human activities. This means creating a energy-efficient system of powering our country that focuses on reducing the use of fossil fuels, which are the main culprits in knitting carbon dioxide into the atmosphere. So we have to work on the root causes. But, at the same time, as we see now with the whole East Coast affected by Hurricane Sandy, we have to learn to adapt to changing climate extremes. So while we’re working to change our energy system to be more effective and efficient and not—not spew out greenhouse gases, we also need to prepare for more climate extremes, because we have already in the pipeline climate change. We cannot stop it completely. So we have to learn how to deal with the extremes that are going to happen with greater frequency in the future. AMY GOODMAN: Why is New York so vulnerable? CYNTHIA ROSENZWEIG: We have to develop climate—climate resilience. AMY GOODMAN: Before you go on with the list—and I want to hear that list—why is New York City so vulnerable, Cynthia Rosenzweig? We’re also vulnerable because we have so much infrastructure. And, you see, we can’t think about our infrastructure in silos. “Oh, here’s the transportation system. Here’s the power. Here’s the water.” All of those three are interdependent. And we know now so strongly that when one goes out, especially the power, there’s cascading effects throughout all the systems. AMY GOODMAN: Continue with the list, Dr. Rosenzweig, that you were sharing. CYNTHIA ROSENZWEIG: So—sure. So, in terms—so, in terms of what we need to prepare, we have been working with Mayor Bloomberg and his Office of Long-Term Planning and Sustainability for over three years to—and with the New York City Department of Environmental Protection, that runs the water system, for even longer. And New York City has been preparing. They have been—climate change is on their radar screen. And I know that the loss of life is terrible and growing, and of course absolutely any loss of life is terrible, but I do believe that without the preparations, without closing down the subway, without the evacuations, that loss of life in the New York region would have been even greater. So, we need to prepare for emergencies, even more than we did for Sandy. We need to think about repairing our sea walls. We need to do studies of potential barriers. We need to—we need to understand how we can keep our infrastructure going under emergency situations, using, we hope, not fossil fuel, but using renewable fuel, so we’re not contributing to climate change as we’re working to deal with the effects. So, another thing about climate change is that it affects everybody, from us in our homes and my 97-year-old mom, all the way up to our municipalities, our city governments, our state, our nation and the world. So, every level of government needs to take on the challenges of figuring out how to reduce greenhouse gas emissions, as well as developing resilience to the climate extremes. This is obviously so important for today. This is not something that we’re now saying has to be for the future. Obviously, look at what Hurricane Sandy has done right here. We have to do a better job. We’ve made a start here in the New York region, and we have to keep going. AMY GOODMAN: Dr. Cynthia Rosenzweig, I assume you saw the presidential debates—the first presidential debate, the second presidential debate, the third presidential debate. Mitt Romney, President Obama, the moderators of the three debates never mentioned climate change once. What is your response? CYNTHIA ROSENZWEIG: Amy, I’ll tell you something. I’ve worked in climate change, as I said, for—for—since my first paper in 1985. I’ve now come to realize that we, the people, have to build the will, the political will, to work on climate change ourselves. Once we do that and work together on developing the things that need to be done, then we will build the strength so that our leaders absolutely have to follow suit. AMY GOODMAN: One—last few questions on New York. Does New York need levees? In your report, you said by 2080, we may well see—how did you put it? We may well see New York City’s subway system, much of it already below sea level and subject to flooding, at risk of extreme flooding once a decade instead of once a century. Do we need levees? And the whole issue of berms, already plans to build berms to divert water away from highway tunnel entrances. CYNTHIA ROSENZWEIG: I would say, Amy, we need everything. There’s—with that—we call this, in our field, the “developing the resilience.” We also call it “adaptation.” With adaptation, it’s just a whole host of local solutions. And New York City and we, the New York Panel on Climate Change, have already been working with the water system, with our cellphone providers, with our MTA. We’ve all gotten together to—we provide the scientific information needed. And the New York City Task Force on Climate Change Adaptation, they go through. We’ve worked on, and we have to continue going through, bridge by bridge, subway tunnel by subway tunnel, air vent by air vent. And by the way, the MTA has already developed and tested raising the air vents that—you know, that have always been right on the sidewalk. Some of them are already raised. But it’s clear from our work and from this, the terrible devastation of Sandy, that we have to do a lot more. We have to work through every system to protect and develop resilience. Then, on the citywide type of strategies that you were just bringing up about levees and berms and the barriers, which is what—what they have in The Netherlands, we have to look at all of those very carefully and create a comprehensive plan. The barriers would require a lot more study. They’re very expensive, and we’d have to see, you know, what would—if they are really right for our situation. But certainly sea walls, a potential for levees, berms, in—better drainage—all of those things, comprehensively, throughout our entire region. It’s tough, though. We have 1,500 miles of coastline. We have 21-and-a-half million people in the New York metropolitan region. But this—these are the kind of planning that has begun before the storm, but absolutely needs to be continued and amplified, built on more. We have to start doing more as we recover. AMY GOODMAN: And finally, people building in flood zones, homes in these coastal areas, that have been so hard hit, from Atlantic City on? CYNTHIA ROSENZWEIG: It’s—I know. You know, every discussion that we’ve had all around the New York region and including in New Jersey and Connecticut, you know, the discussion always comes to: should we retreat from the coast? It’s a tremendous challenge. And, you know, people love living on the coast. And, you know, one thing that’s wonderful about our region, that it’s not just the wealthy, but it’s really communities, wonderful communities there. But so, we do need, though, to have a conversation, a discussion, among our whole region, to see how can we work with those communities and whether some kind of protection, some kind of rebuilding that is safer, that may be pulled back, you know, in appropriate ways, may be in order. But we’re going to have to all discuss it together to come to figure out what to do. AMY GOODMAN: Cynthia Rosenzweig, we want to thank you very much for being with us and hope your home, like so many others, soon has electricity again. Senior research scientist at NASA Goddard Institute for Space Studies, where she heads the Climate Impacts Group. Her work with the IPCC Task Force on Data was recognized in 2007 with the Nobel Peace Prize. This is Democracy Now!, democracynow.org, The War and Peace Report. When we come back, we’ll go to the streets of New York. Stay with us.